Every car owner needs a good partner to keep their vehicle in good shape. As an established facility for car repair Orland CA, R&R Service Department is fast and thorough. On staff, we have four master technicians. They are all ASE certified. With many years of experience and training, our mechanics will do the job right. You can be sure that the department is equipped with the latest diagnostic tools and repair equipment. From oil changes to tune-ups, you can trust our mechanics to keep your car in better shape. Regular maintenance can prevent breakdowns, saving you big money in the long run. Our service specials help keep costs low. 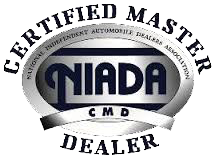 Unlike new car dealerships, our mechanics understand all makes of cars, SUVs, and pickups. You can use our service department for all of your vehicles. While some shops only do brakes or transmissions, you'll find that R&R Service Department can do everything from transfer case repairs to tire replacement. We are your home for total car repair Orland CA. Of course, you don't want to miss the deadline for your smog test. It's easy to get your official test at R&R Service Department. We are also an official Brake and Lamp Adjusting Station. Before you pay high prices somewhere else, get an opinion from our experienced mechanics. We can help you keep costs low and keep your car running at peak efficiency for years to come. You can trust R&R Service Department for maintenance and repairs for all makes and models. Contact us online for more information.